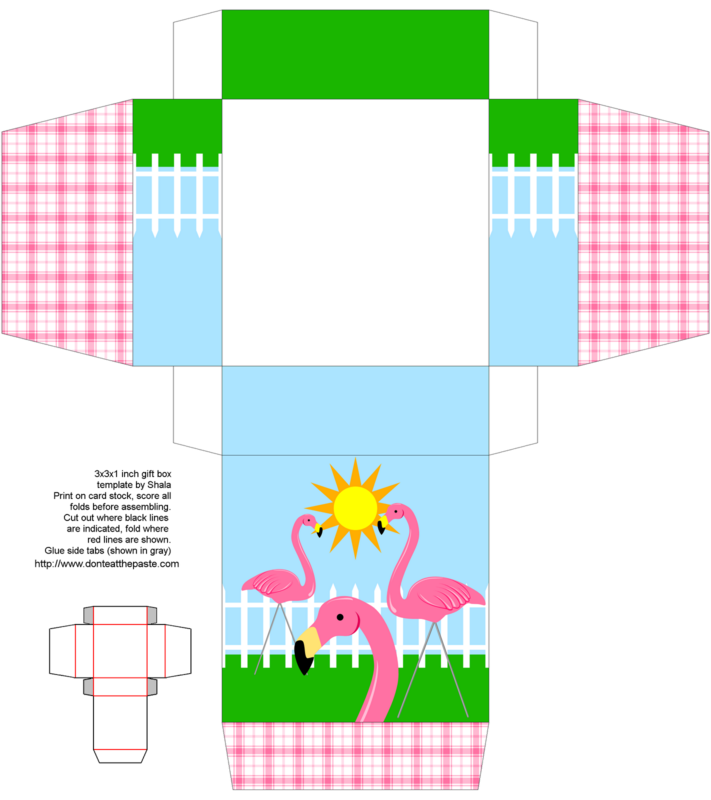 Here's the box, and there are plans for more flamingo printables this week! Click on the box for a larger version, print on card stock, cut, score, fold, glue! 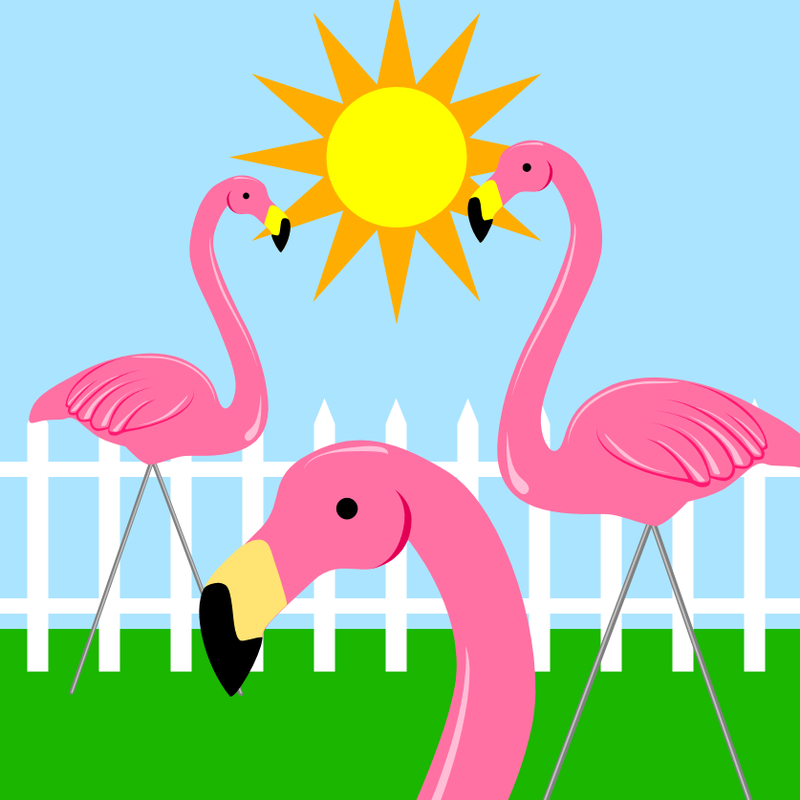 Whimsy runs wild in my family, and one of my whimsies is a strong desire for pink plastic flamingos in my yard. It's not one I've acted on yet. As you probably know, there aren't real flamingos in Alaska. There are also precious few plastic flamingos. What I want is to have a half dozen that TG and I can outfit for the seasons. We wouldn't keep them out all the time because cold+plastic is usually a bad thing. But we would knit them hats and scarves to have out occasionally during the winter. Anyway, that's the plan. My husband of course is less than thrilled. He did say "The only reason I'm NOT trying to talk you out of it is because I just know I'd come home from work to an army of pink flamingos." fabulous! i love your gorgeous designs...thanks so much! I have similar pink flamingo love. I have always wanted to have TONS of them and have a "pink flamingo migration season" where I set them up on the lawn and move them around every day, inspired by the canada geese that migrated through the region where I grew up. My family shared my idea but not the required budget, so we bought just ONE flamingo at a yard sale and would hide it around the house in ever-more-obscure places and just wait weeks or months for the surprised shriek of the next person who found the flamingo inside their stored snow tires or in the stack of guest towels.